It’s glow season, you will need your sunglasses. 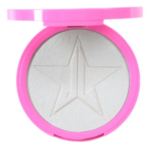 If your goal is to shine brighter than the moon then Jeffree Star Cosmetics Skin Frost is definitely the product for you! I’ve been using my 2 shades for the last couple of months and have never experienced a product as pigmented and buttery as these. I wanted to give it some time before I wrote a post about them to see how long lasting the products are and how much I used them, I have literally rejected all of my other highlighters since I started using them due to them being the BEST highlighter formulae that I’ve ever tried. At this moment in time these are out of stock on the website but I follow Jeffree’s Twitter/Instagram/Snapchat for updates and there will hopefully be a restock of them in August! My own personal experiences with this company have been very positive, I have made 3 separate orders on the official Jeffree Star Cosmetics website, all of which I received customs charges for but all of the products were delivered in a perfect condition. It usually takes between 10 – 16 days to receive your order but you receive email updates with a tracking service for your parcel to see exactly where it is. The stock levels on the official website can be up and down due to the popularity of the products but as the company is self owned by Jeffree Star he can roll out products and restocks faster than companies that are part of a larger brand. 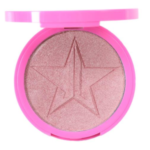 Beauty Bay is the UK stockist of Jeffree Star Cosmetics. The Skin Frosts are priced at $29 each and international delivery is $10.95, for this particular order I was charged £15.70 in customs fees. The packaging is the noticeable Hot Barbie Pink boxes larger and similar to the Velour Liquid Lipstick packaging. I love the simplicity of the packaging and I was so impressed with the size of the product, the pan is larger than anything I have ever seen before and seems like the product will last forever. The Skin Frosts were delivered in a large box, each was wrapped in bubble wrap and pink paper and they survived the delivery! Each shade comes in the hot pink compact with a very high quality mirror inside. 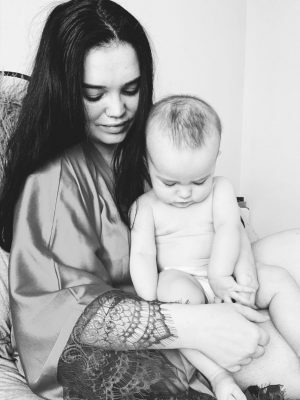 If you’ve purchased makeup before with mirrors they can sometimes be quite blurred, tinted or small but none of these apply to the quality of the Skin Frost mirrors. I purchased two of the four shades from the launch, Peach Goddess and Ice Cold. I chose these particular shades after watching Jeffree’s Youtube Video as he said these were best suited for pale skin and I completely agree. If you want to see the other shades swatched then I would definitely recommend having a watch of the video! 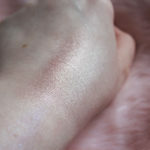 Peach Goddess gives a soft pink tinted highlight, it’s great for warming up your face and with certain makeup looks. 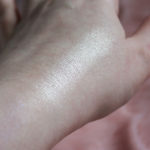 Ice Cold is a very obvious white highlight, the tiniest bit really does it justice and it’s so well suited to my skin tone, it’s definitely my favourite of the two shades and one that can be worn with so many different styles of makeup! With just one brush stroke into the pan you get so much product onto your brush and onto your skin, I’ve never used something so pigmented and the stay power of the highlight is fantastic. I’ve done multiple shifts at work where I’ve been complimented on it hours after it has been applied to my skin! All in all I would recommend the Skin Frost products to anyone, whether you’re just starting out with makeup or experimenting with new things these are a must have, although they’re hard to come by I would definitely keep an eye out for restock dates as the amount of product that you get for the price is incredible and the product is of the highest standard I have ever come by! "FASHION WEEK FAVOURITES – ELIE SAAB – HAUTE COUTURE – AUTUMN/WINTER 2016-2017"
I love Jeffree Stars highlight!Check out my blog for ways to save money on makeup and read some reviews!